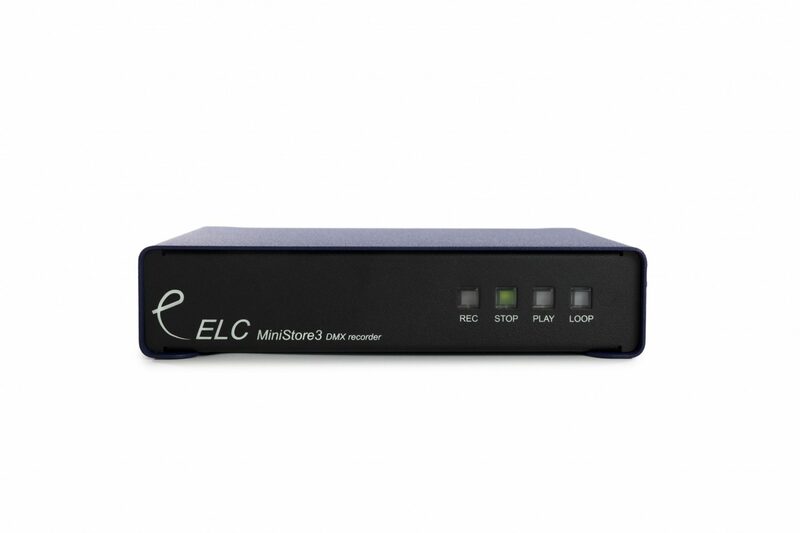 The miniSTORE 3 is a DMX playback recorder that can record and playback DMX streams like a tape recorder. 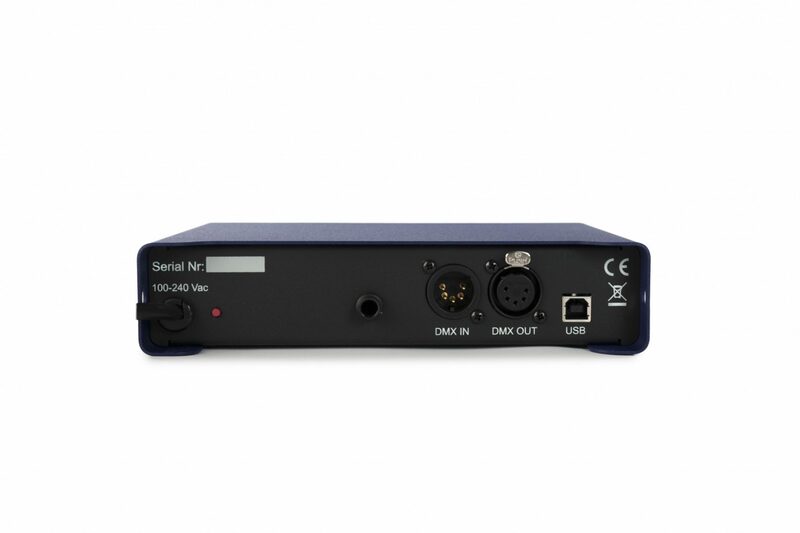 All lighting changes, fades and effects for up to 512 channels on a single DMX line are recorded using 4GB flash memory in real time and can be played back exactly as originally performed. The recording time can vary from hours to days. 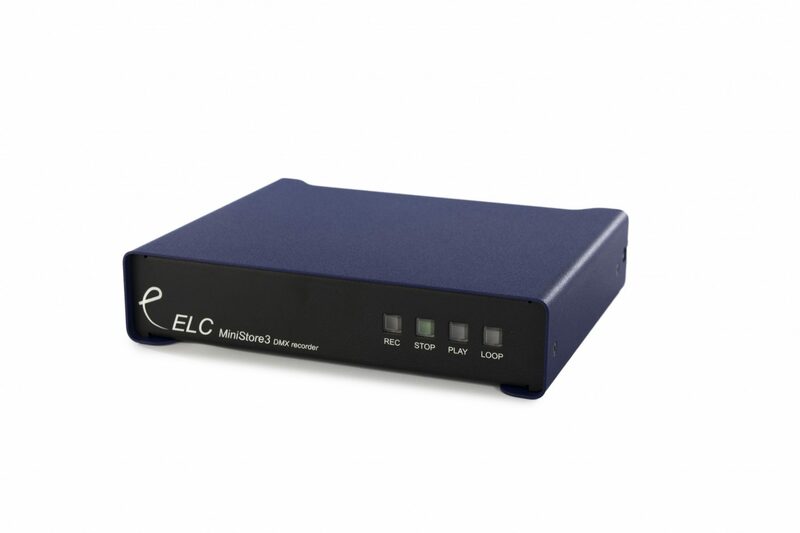 It is ideal for automating stand-alone shows, such as retail and exhibition displays, including moving light effects, and includes options to start or loop the playback at power-on or with a contact closure.